In the winter of 1913 more than 24,000 men, women and children marched out of Paterson, New Jersey's silk mills calling for decent working conditions, and end to child labor and an eight hour day. The Haledon, New Jersey home of immigrant silk mill workers, Pietro and Maria Botto (seen above) became the meeting place for the strikers. Upton Sinclair, Elizabeth Gurley Flynn and other champions of labor spoke to workers of many nationalities. This action and others like it brought about reforms in the workplace broadly enjoyed by Americans today. January 11th - December 28th, 2013: Centennial Commemoration of the 1913 Paterson Silk Strike Exhibit on view at the American Labor Museum, Wed.-Sat. 1-4 PM and by appt. January 11th, 2013 at 7 PM: Opening Reception of the Centennial Exhibit . With Dr. Steve Golin, author of the book The Fragile Bridge: The Paterson Silk Strike of 1913 and the Solidarity Singers of the New Jersey Industrial Union Council. March 20th, 2013, 9:30 AM-2:30 PM: The 1913 Paterson Silk Strike Revisited 100 Years Later, A Seminar for Teachers. With Delight Dodyk, Ph.D. and Steve Golin, Ph.D.
May 15th, 2013, 9 AM-1 PM: Experience Paterson, motor coach tour of the labor and immigrant heritage sites of the City of Paterson. 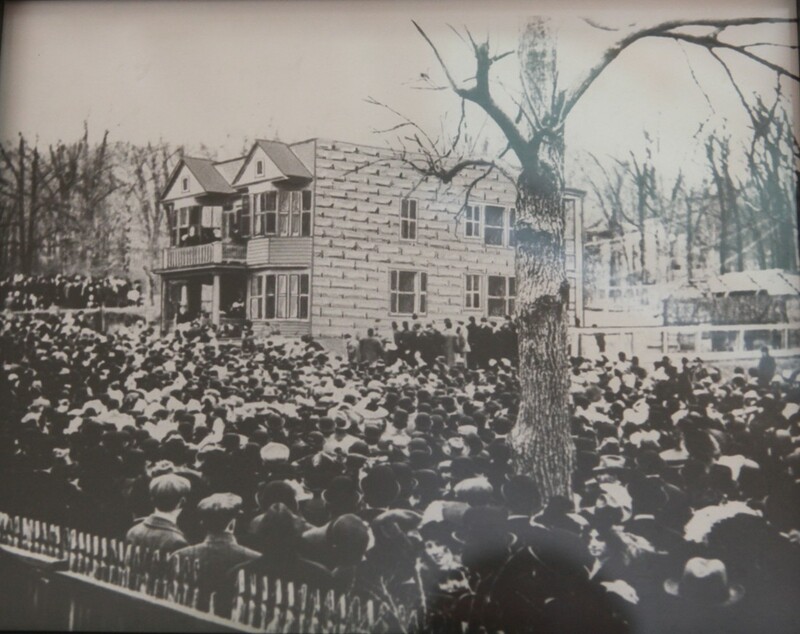 June 2nd, 2013, 1-4 PM: Reenactment of Speeches made from the Balcony of the Botto House in 1913, with strikers' songs performed by the Solidarity Singers. September 7th, 2013, 1-4PM: Labor Day Celebration honoring Juan Negron, President of the Passaic County Central Labor Council and the descendants of the 1913 Paterson Silk Strike and featuring performances by Anne Feeney and the New Jersey IUC "Solidarity Singers." November 13-16, 2013: Performance of "Paterson Falls," a play by Rosemary McLaughlin at the Thomas H. Kean Theatre, Drew University, Madison, NJ. Visit ww.drew edu for information.